The quality of the air your engine breathes is just as important as the quality of air you breathe. Air quality can have a direct impact on your engine's performance and length of life. The combination of fuel and air ignited in the cylinder chamber drives the internal combustion engine of today's modern cars. It is vital that any air entering the combustion chamber of your engine is purified and totally free of any dust or contaminants. It is the role of the air filter to trap any foreign matter and provide clean air for smooth performance and engine longevity. 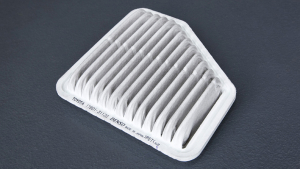 Our air filters are made to the highest levels of quality with triple layer filtering and needle punched elements. Toyota Genuine Air Filters feature a triple-layer filtering element, which ensures that your engine stays free of any dust or contaminants. The element has a series of different gauge meshes - coarse, medium and fine to trap every size particle. Other types of filters may only have one layer. 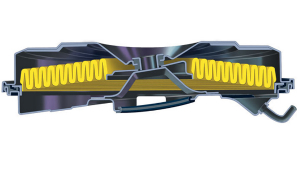 The Toyota Genuine Filter Element is needle-punched to allow for a smooth, efficient flow of filtered air to the combustion chamber for clean ignition of fuel. Its dust catching ability is up to 30% higher than a normal after-market type filter. Lesser quality air filters often use poorly constructed seals and filter elements which allow dust and impurities into the engine, causing problems such as poor engine idle, extra fuel consumption and unnecessary engine wear. 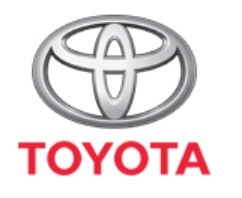 A Toyota Genuine Air Filter is designed to perform efficiently for the total time between recommended services. If you have your Toyota Service Centre service your car, then the air filter will always be cleaned and/or replaced according to the servicing schedule. Note: Under severe operating conditions your air filter may require additional maintenance. Please refer to your Warranty & Service logbook or consult your Toyota Service Centre.